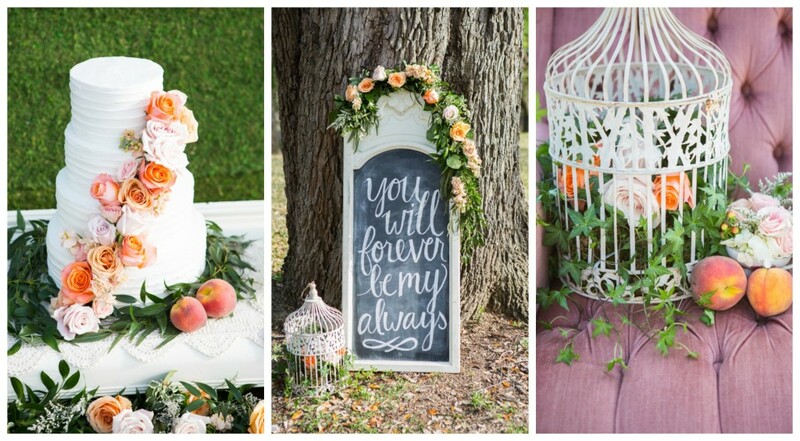 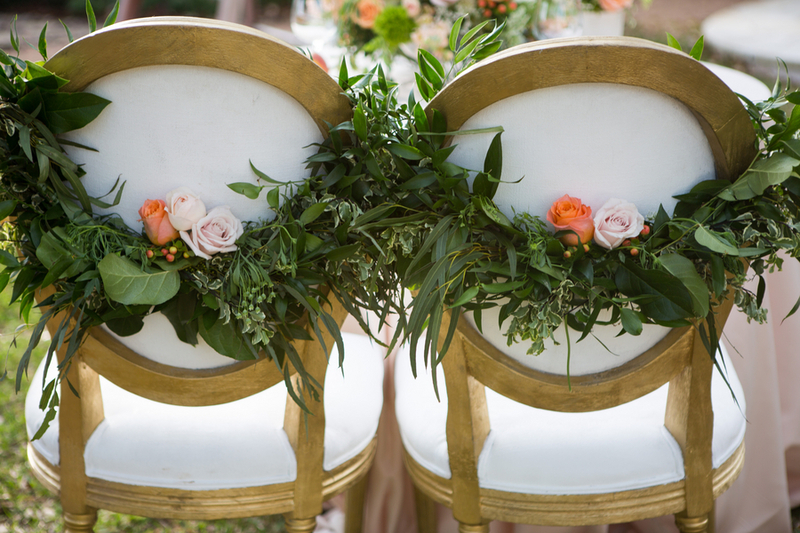 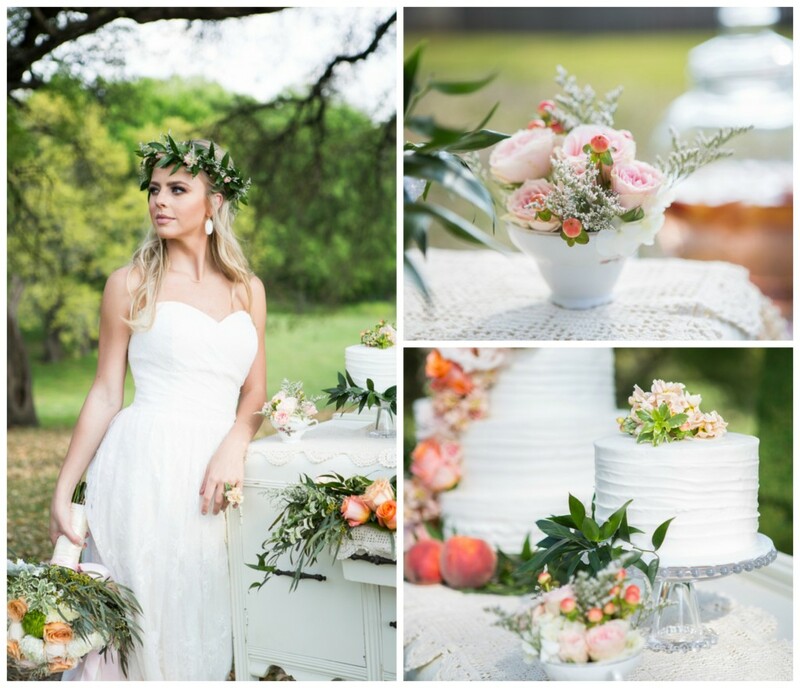 A whimsical southern garden party was the inspiration behind this styled shoot. 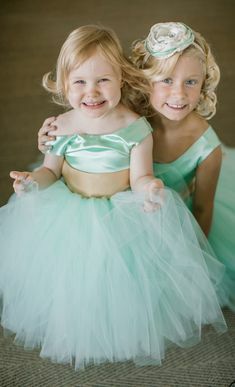 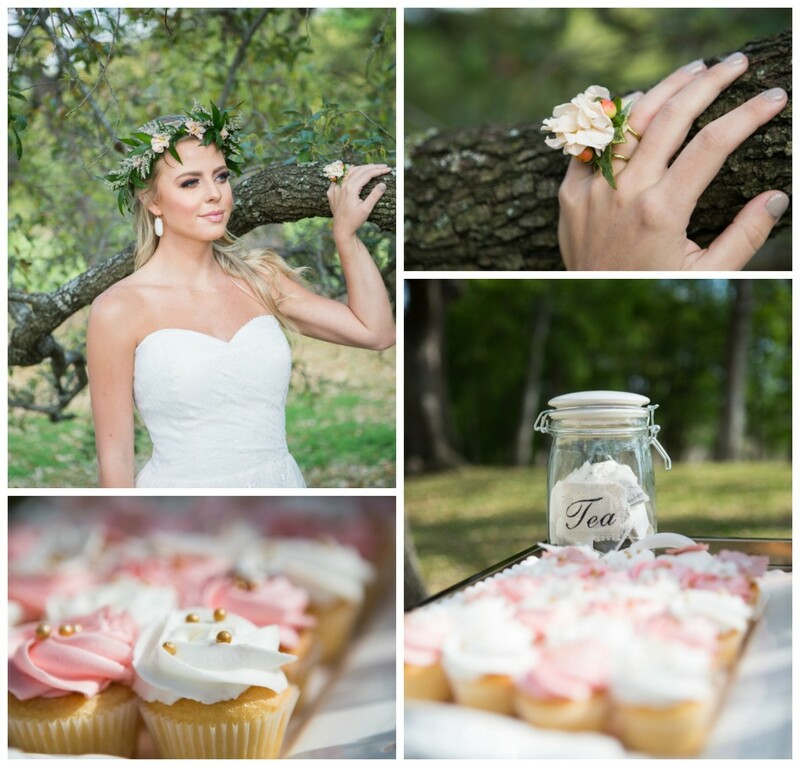 Shelly Taylor Photography was able to truly capture the thought out details that went into this shoot and portrayed them perfectly. 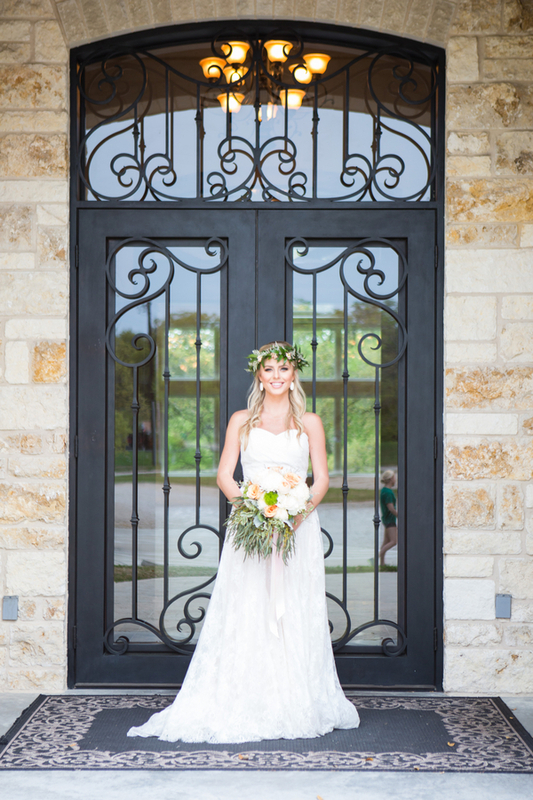 The venue, Cathedral Oaks in Belton, Texas, is perfect for anyone that wants an indoor/outdoor wedding. 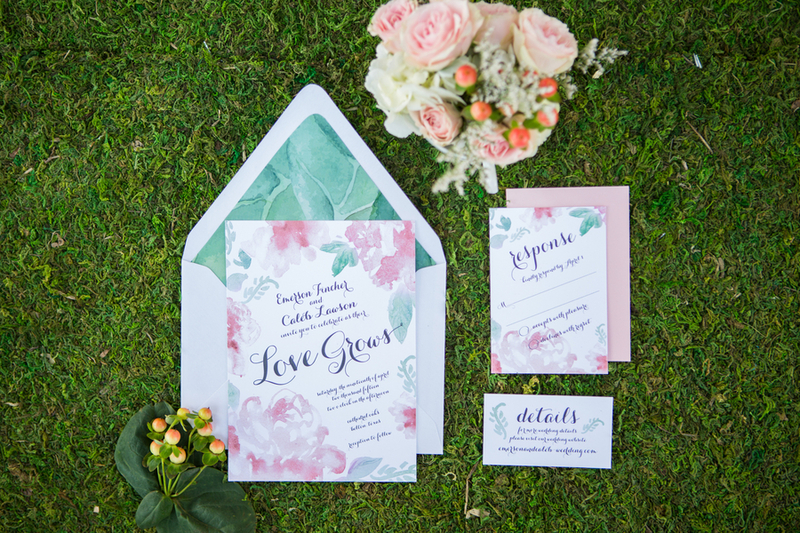 The inside is absolutely stunning, but for this time of year, and the vendor collaborators wanted to take full advantage of the outside and its lush scenery and vast landscape. 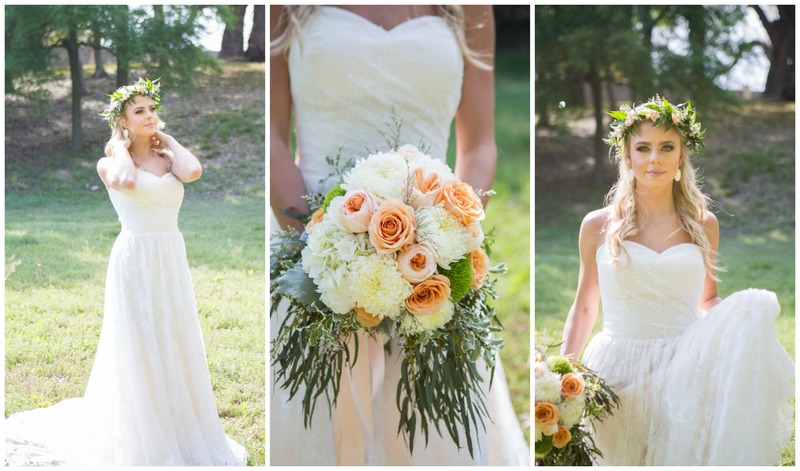 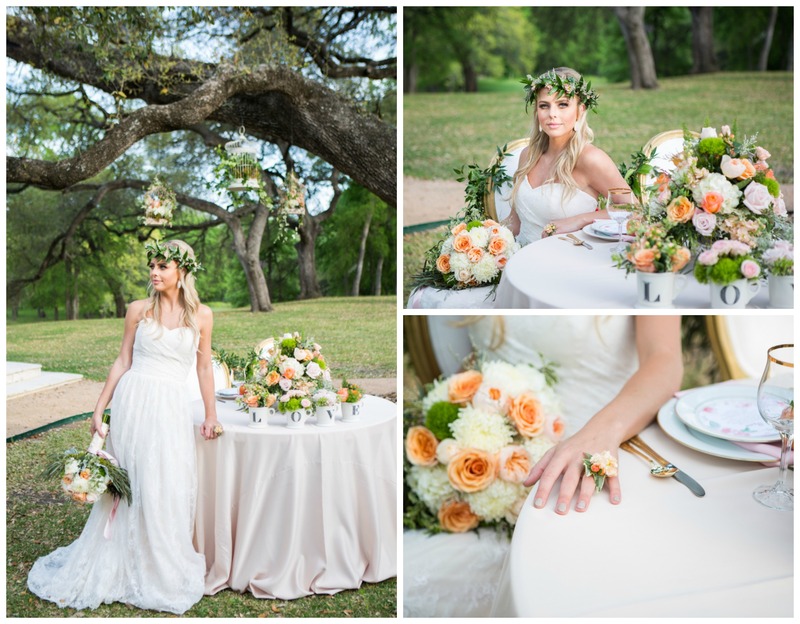 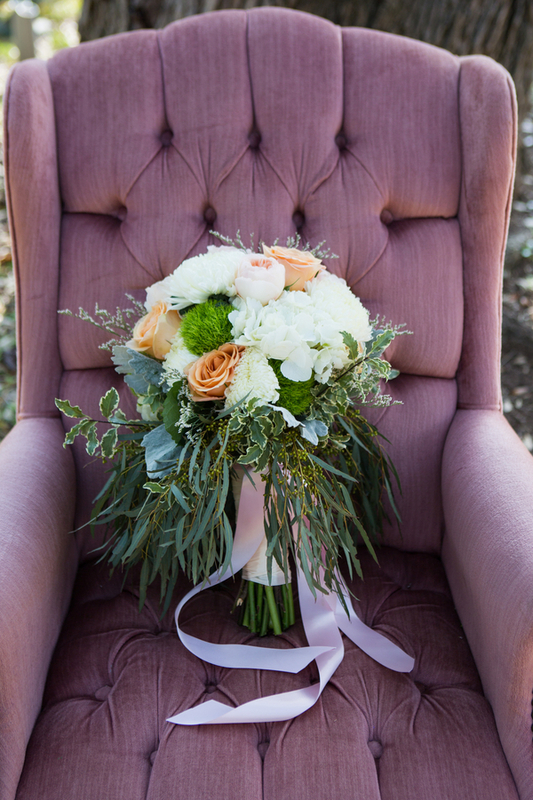 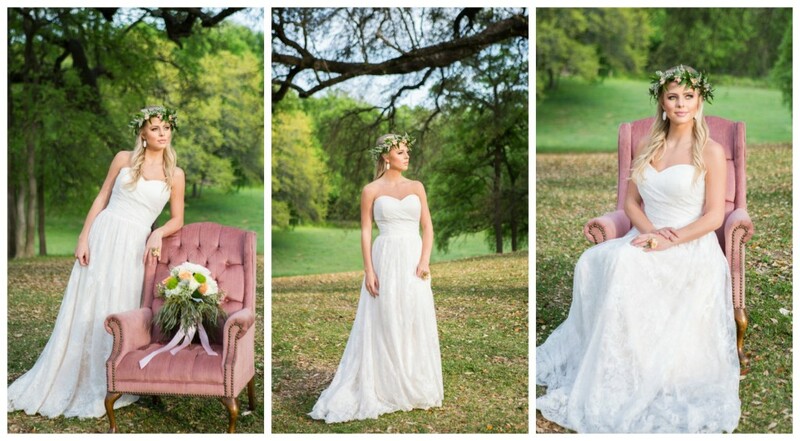 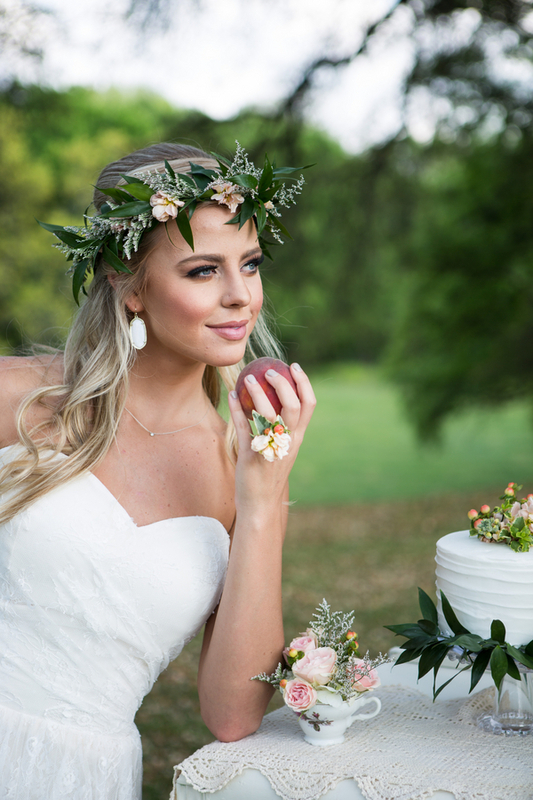 Our staple colors, peach, white, and pale pinks with an array of greenery paired perfectly among the massive oak trees and beautiful grounds of Cathedral Oaks. 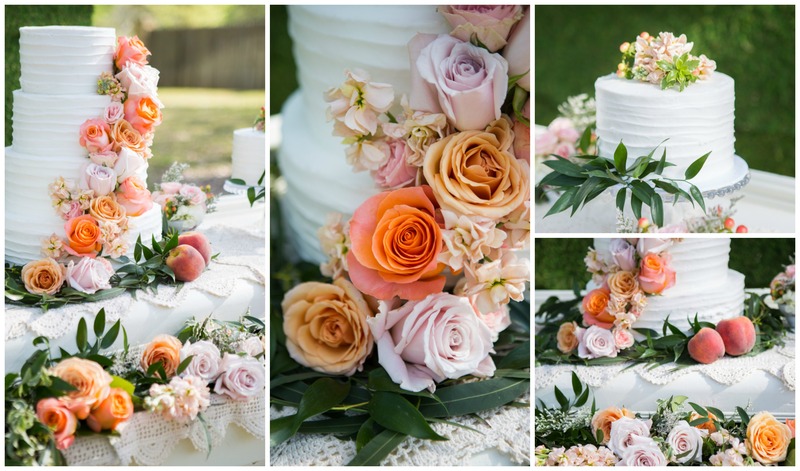 Lily’s Cakes provided us with a gorgeous white four tiered cake, as well as two small round cakes and ornately detailed floral cupcakes that were just as good to eat as they were pretty to look at. 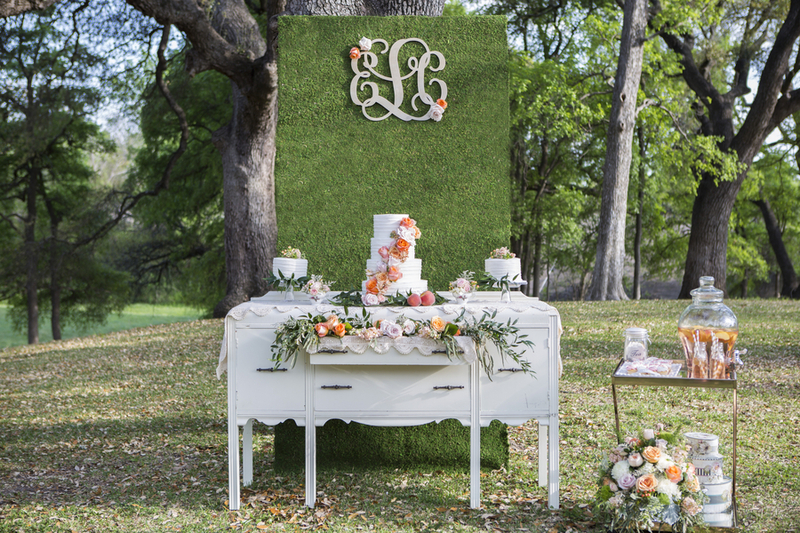 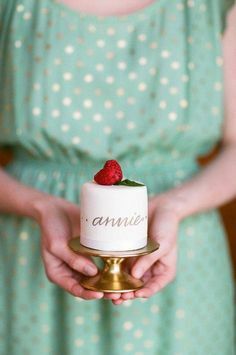 The cakes were placed on an antique buffet from Swoon Vintage Rentals. 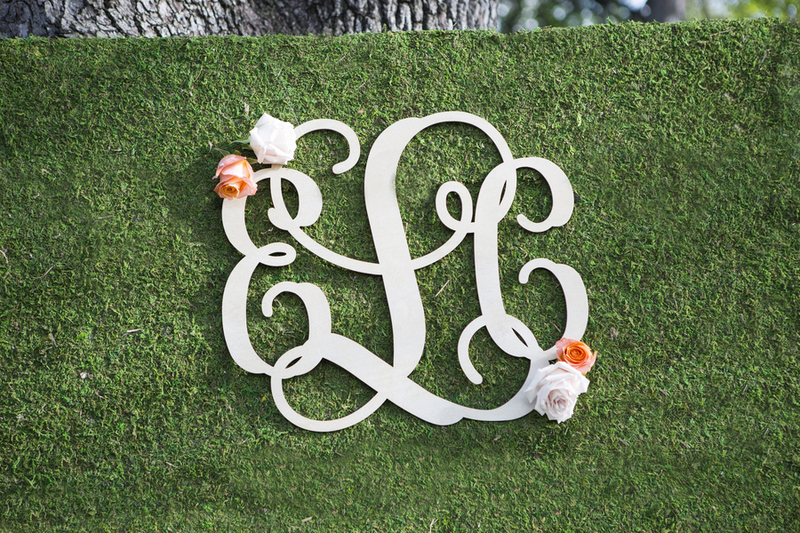 We built a custom moss wall backdrop adorned with a vine monogram to add to the garden feel and make the colors provided by the florals pop. 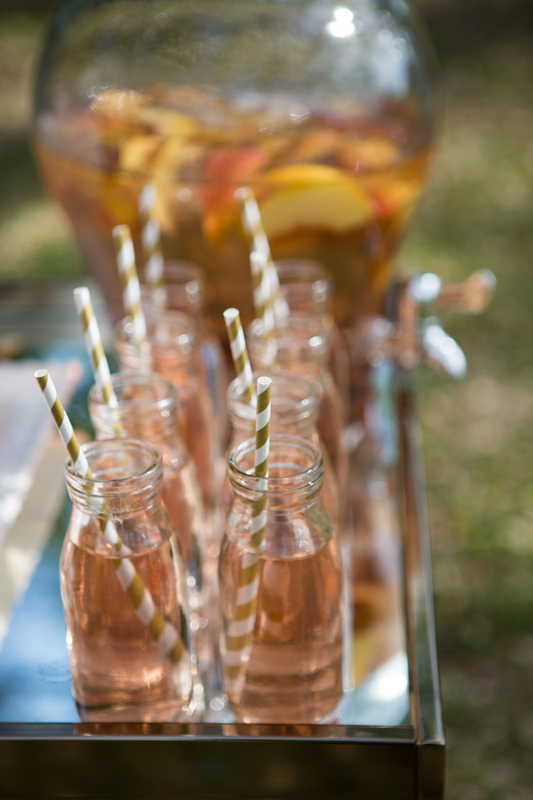 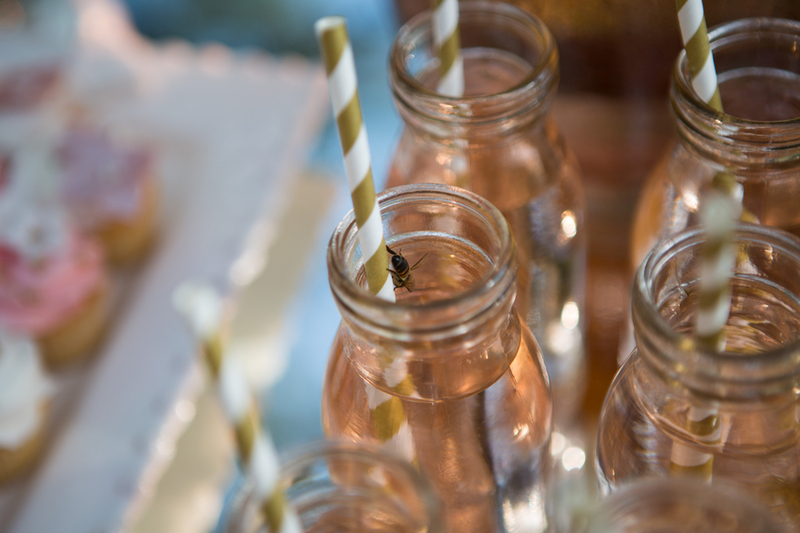 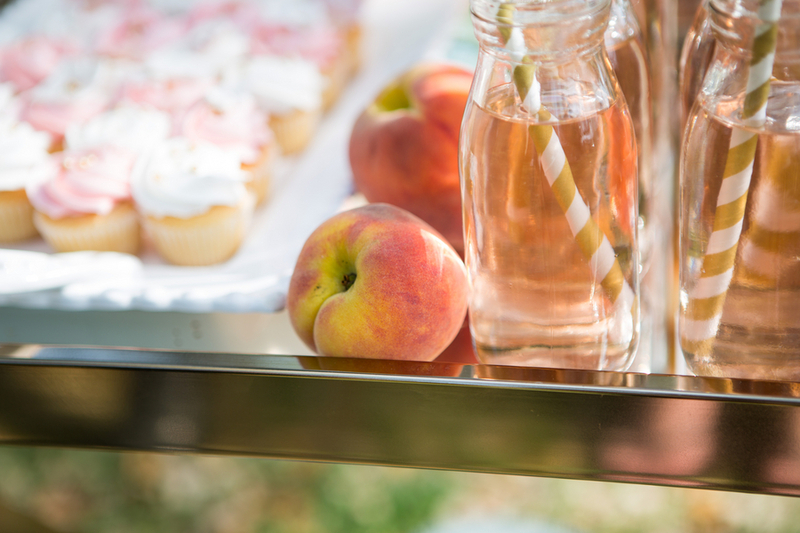 A gold mirrored bar cart was stocked with vintage milk glasses, gold striped straws, and a refreshing peach beverage that guests could indulge in. 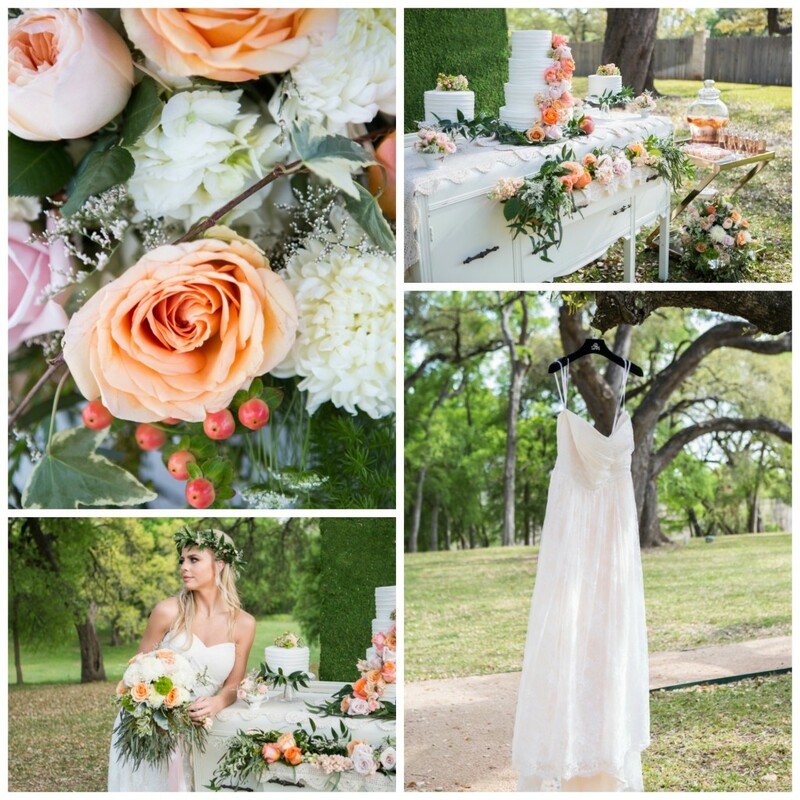 Our floral team brought our vision to life with breathtaking arrangements and garlands. 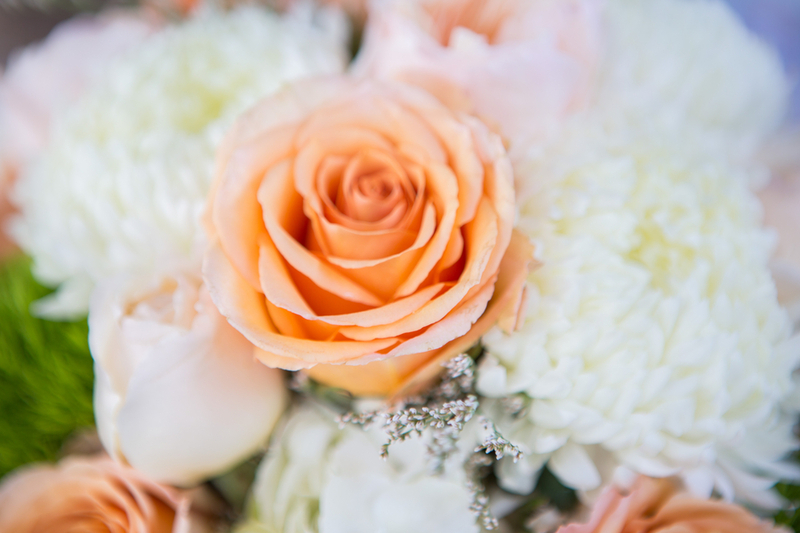 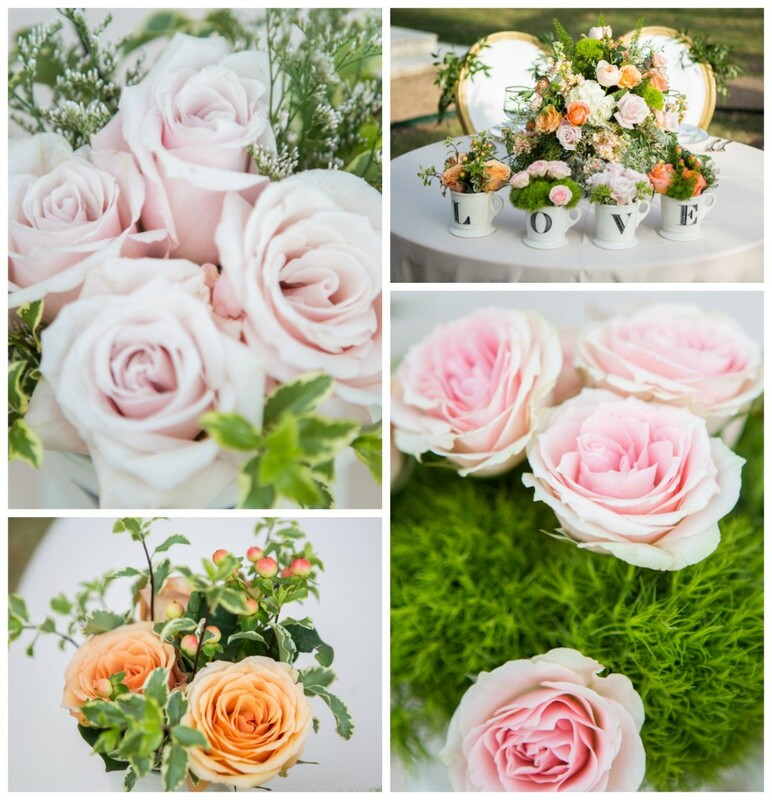 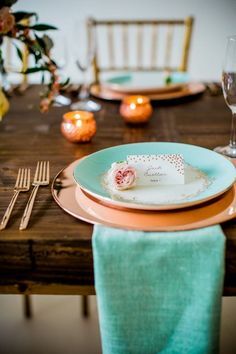 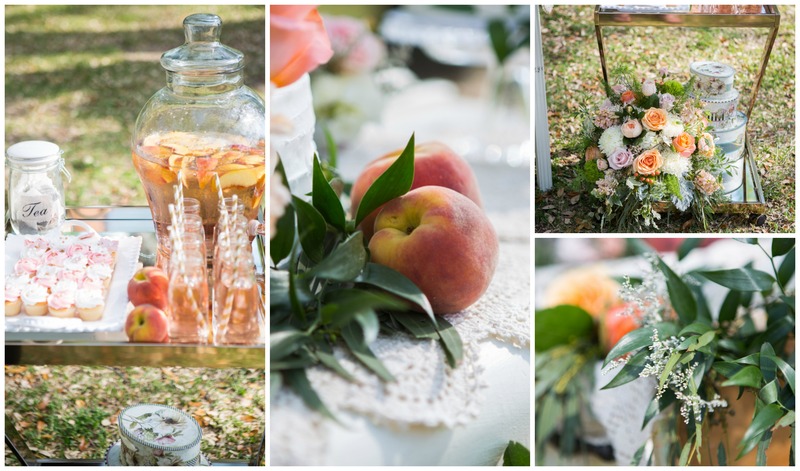 Vintage tea cups were used to romanticize the dessert table and were filled with green ball dianthus, peach hypericum, Queen Anne’s lace and peach stock. 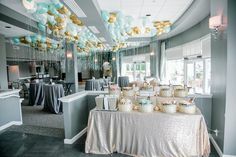 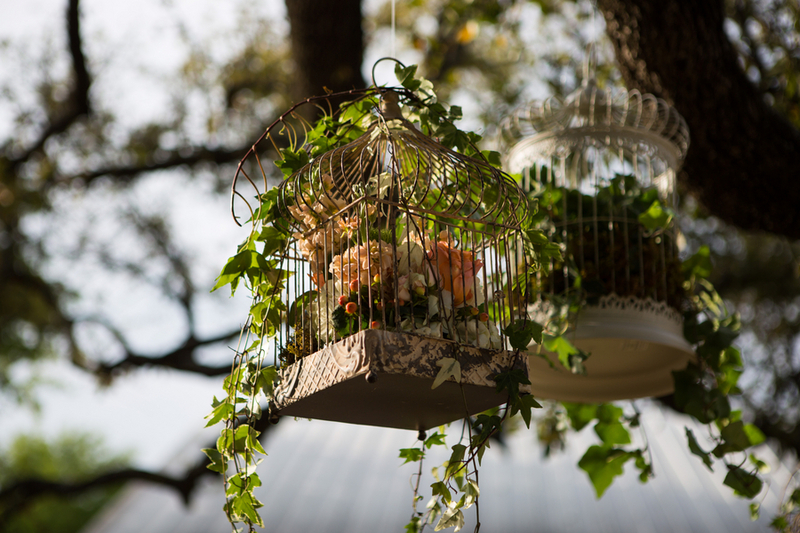 The three bird cages hanging above the sweetheart table were also filled with florals and ivy to add a whimsical touch. 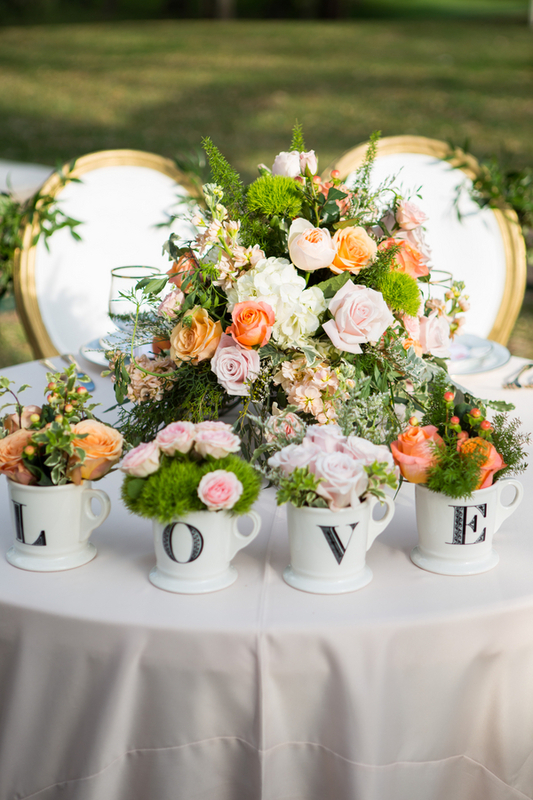 Our cascade of florals was not only aesthetically pleasing, but also signifies the growth of love.Action Rentals provided the beautiful linens and dinnerware to help us create an unforgettable sweetheart table. 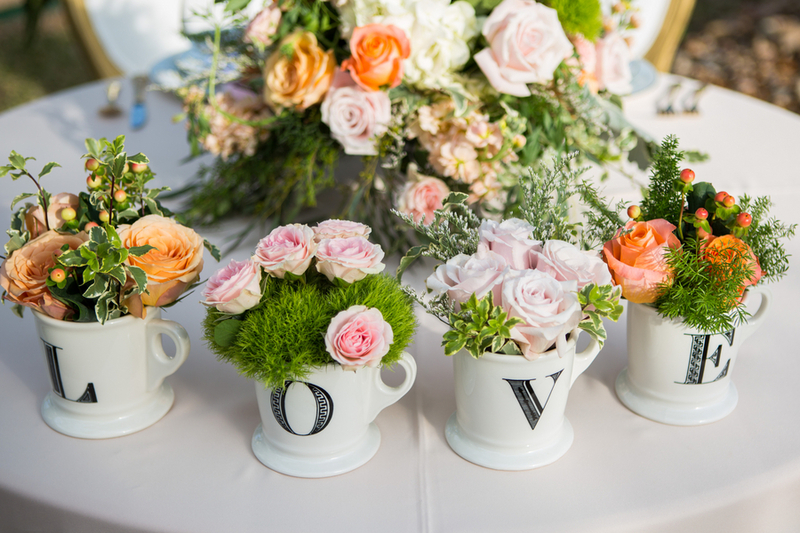 L-O-V-E mugs were filled with florals and placed in front of the center arrangement to help bring the tablescape to life. 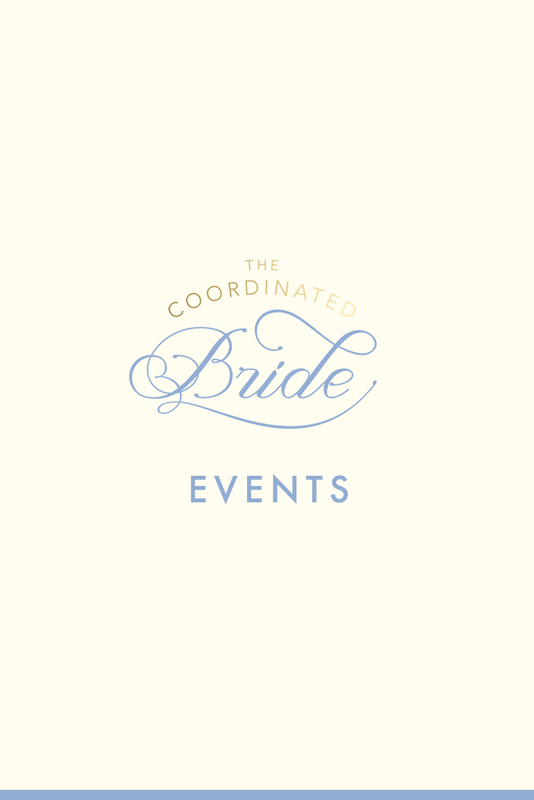 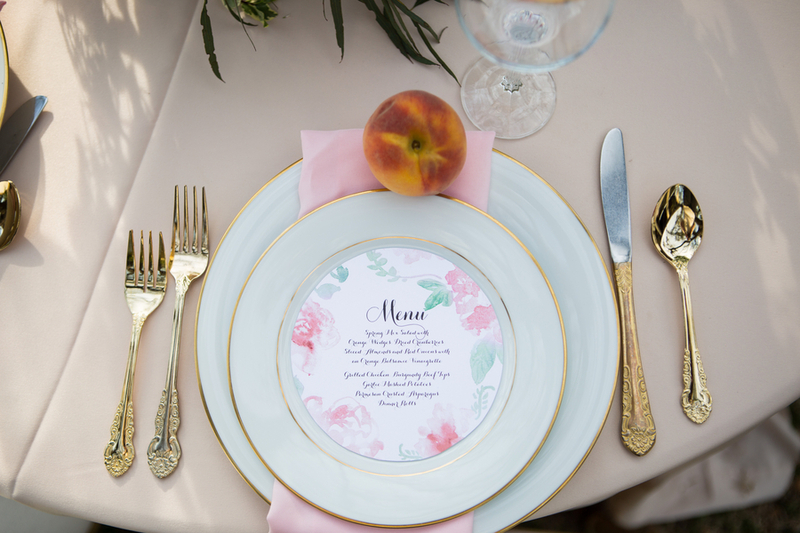 Studio W Designs created custom invitations and table menus that were placed on the plates. 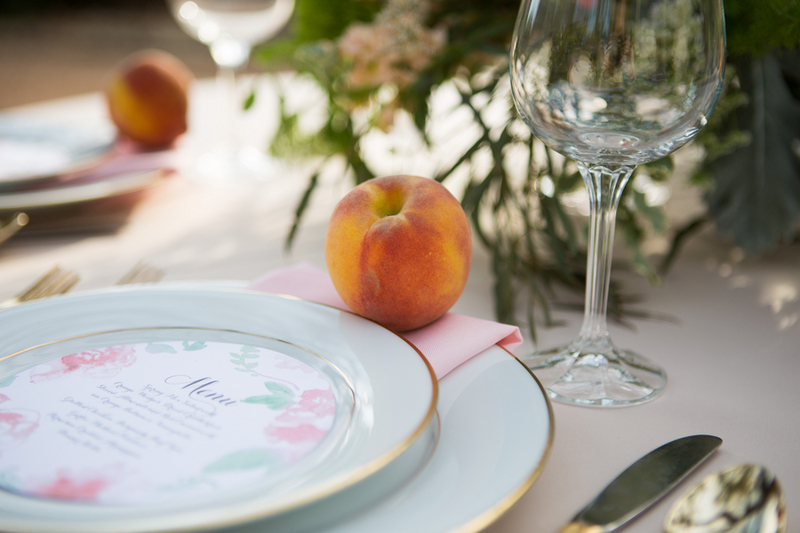 Fresh peaches were also incorporated throughout the shoot to add an idyllic look. 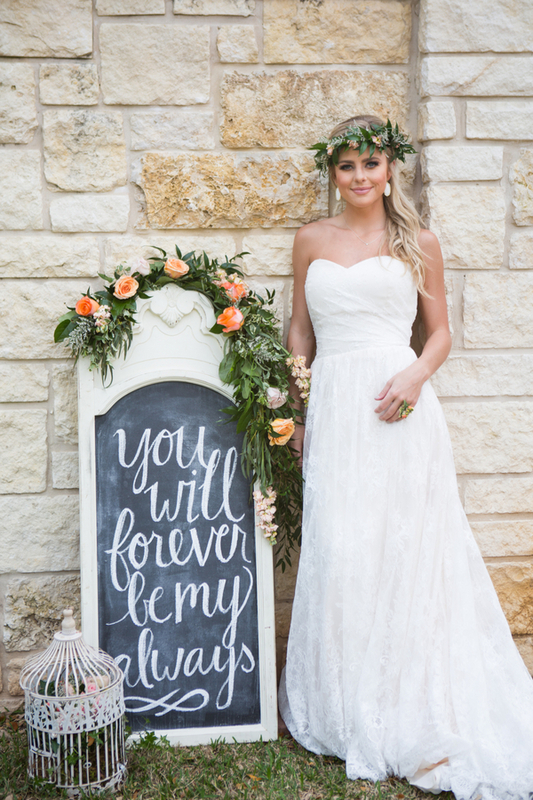 Our bride model, Hagan, looked stunning in the gorgeous pale peach lace gown from Second Summer Bride. 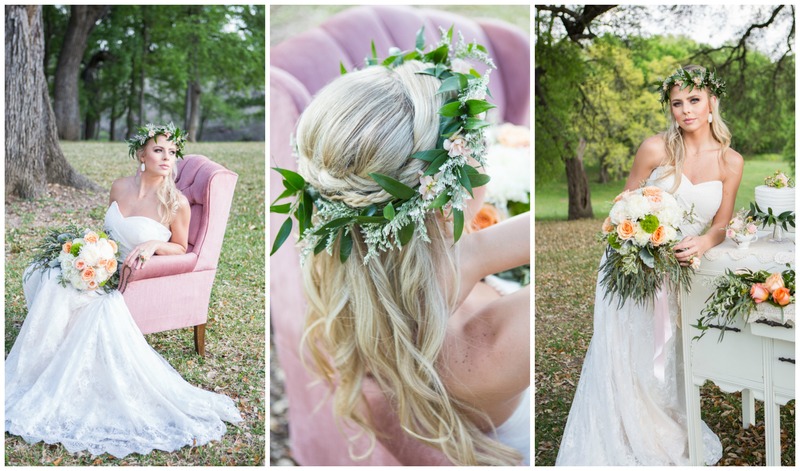 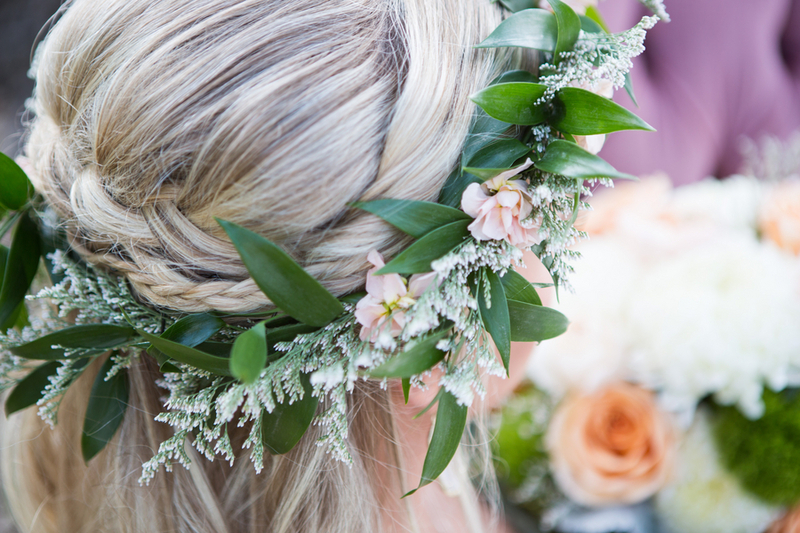 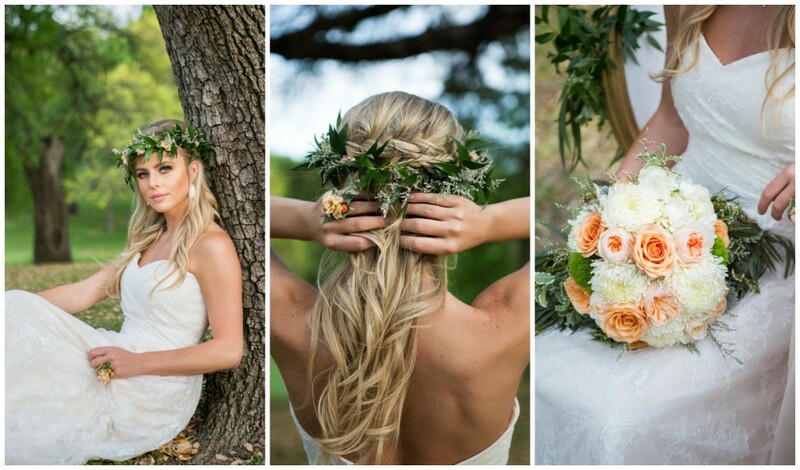 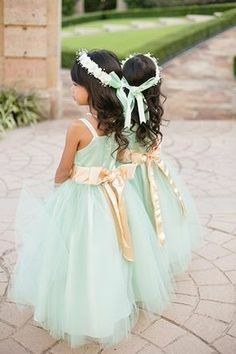 Nori Cruz styled the bride’s hair with loose curls and a boho braid and added a fresh floral crown for a picture-perfect wedding hair style. 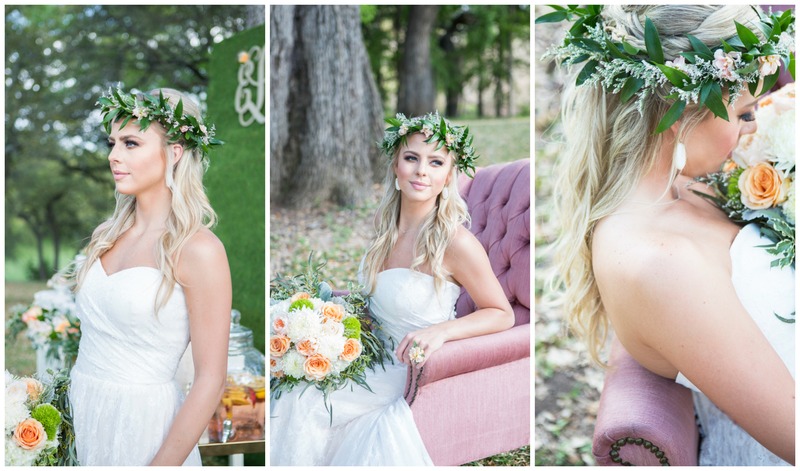 Alex Nini used airbrush to create a flawless and long lasting wedding day look. 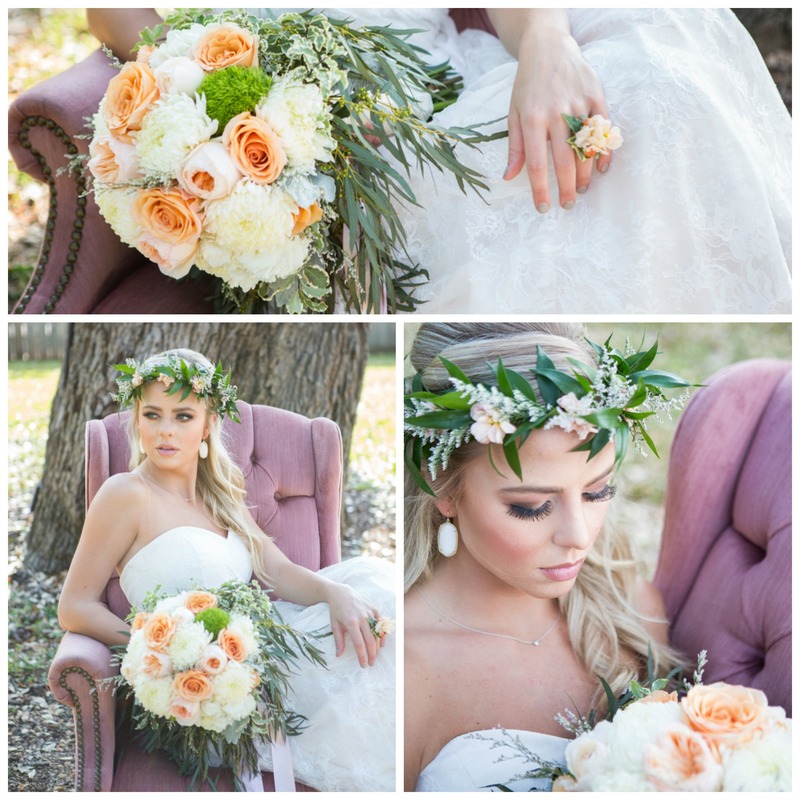 A dainty, custom made floral ring was worn by Hagan and will add a trendy touch to any outdoor wedding. 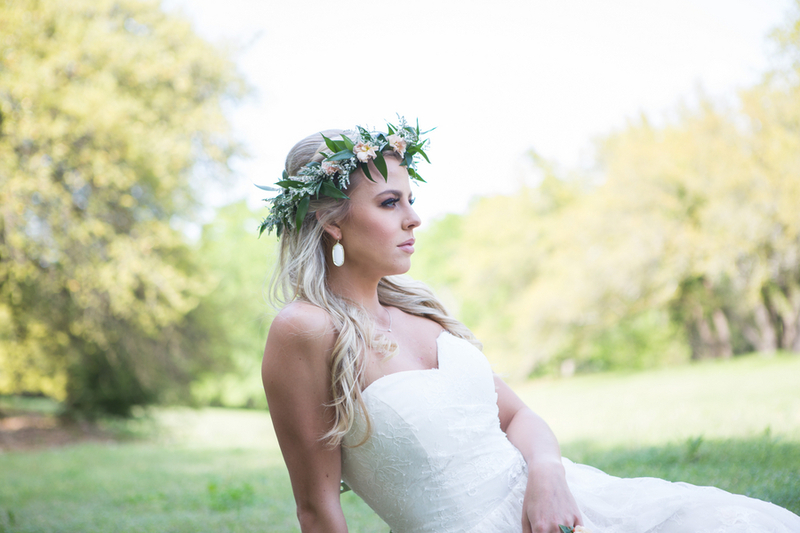 See more from Texas photographer, Shelly Taylor!